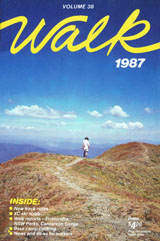 Walk magazine was initially conceived primarily as a club journal to record matters of interest to members. 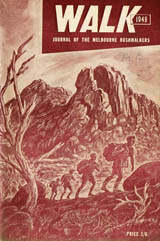 As every effort was made to avoid any air of parochialism, it was confidently expected that those members of the general public who were interested in bushwalking or the geography of Australia would also find much to interest them within its covers. The magazine was published annually between 1949 (Volume 1) and 1987 (Volume 38). Today, the pages of the magazine with their detailed walk descriptions and topics of interest to bushwalkers stand as an invaluable historic record. Copies of the magazine are being made available here for online browsing or download under Creative Commons - Attribution Non-Commercial Share Alike copyright. Links to Contents pages and Download links. Note: There was a volume "year of issue" change between Volumes 1 and 2. Missing issues will be added progressively. Attribution — You must attribute the work (but not in any way that suggests that Melbourne Bushwalkers Inc. endorses you or your use of the work). Melbourne Bushwalkers Inc. makes no warranty as to the accuracy or completeness of any content of this work. Melbourne Bushwalkers Inc. disclaims any warranty for the content, and will not be liable for any damage or loss resulting from the use of any content.